We’re always getting asked, "how can I make the most out of my skincare routine?" Whether it’s navigating which collection to choose from or how to best apply a product, finding the perfect regimen can seem like such a process - but don’t worry, that’s why we’re here! We broke down a few tips and tricks on what our clients should be doing to achieve their ultimate skincare goals. 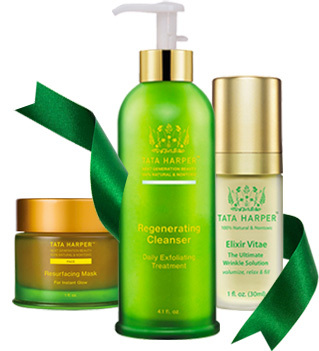 One of Tata’s biggest tips to achieving a deeply nourished and cleansed complexion is to always double cleanse. 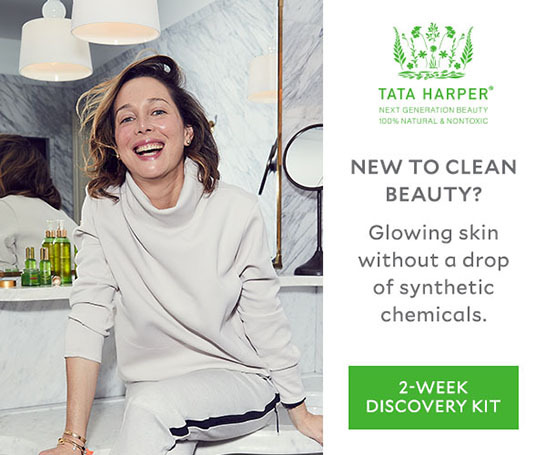 If you’re already a Tata Harper Skincare user, you know that most of our cleansers should be applied directly to dry skin. If you’re new to our line, welcome! Throughout the day, toxins and pollution are absorbed into our skin, and if not treated they can lead to increased visible signs of aging. Applying water to the face prior to cleansing creates a barrier between you and the ingredients, therefore blocking the benefits of your skincare routine before you've even started. The best way to find which duo is meant for you? The key is understanding your skin type. Nourishing Oil Cleanser. No matter what your skin type is, you always start here. This will remove makeup and dissolve any buildup to get rid of everything that’s sitting on top of your skin. You want to use this on dry skin, and that goes for all of our cleansers. Make sure you gently pat your skin dry before going onto the next cleanser. Depends on your skin type and desired benefit. Regenerating Cleanser is good for all skin types. It's a gentle, creamy daily exfoliating treatment that buffs and polishes to clear the way for radiance. Clarifying Cleanser is good for oily and blemish-prone skin types. It's a cooling and foaming gel cleanser that targets blemishes and oil to leave you with comfortably matte skin. Purifying Cleanser is good for all skin types. It's a gel-to-oil detox treatment that purges impurities to fight the effects of pollution and free radicals. Refreshing Cleanser is good for sensitive or dry skin types. It's a gentle, milky treatment that softens and hydrates skin while dissolving buildup. No one likes blemishes. However, when dealing with a breakout it's important to remember to not act too fast. The desire to get rid of the blemish ASAP can be overwhelming, we know, but sometimes the waiting game is the best approach. Don't pick, pop, or poke. Instead, give the blemish its time to heal. By applying a spot solution before the white head of the blemish is visible, you will only dry out the surface of the skin and trap the infection below. Take this time to analyze where the breakout could have originated from. Could it be hormonal? Have you recently tried a new product? Has your environment changed? 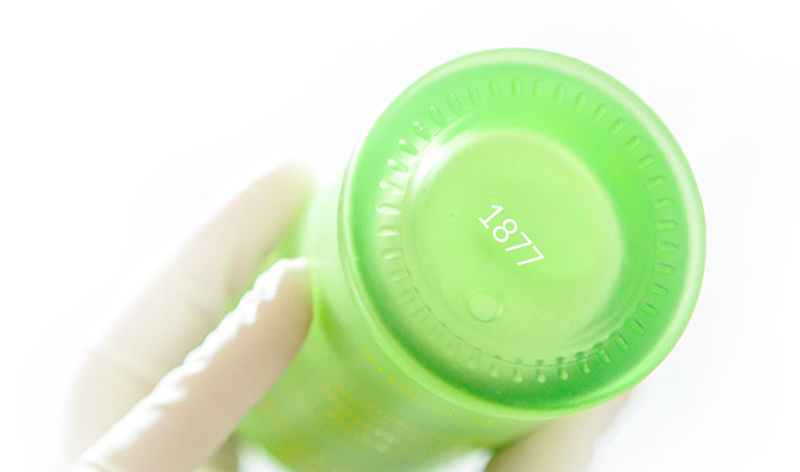 Once ready, our Clarifying Spot Solution is specially formulated to target the look of blemishes. This unique formula works on problem areas by nourishing and hydrating, instead of dyring and irritating. A natural salicylic acid blend helps reduce the look of blemishes, while natural copper, magnesium and zinc helps soothe redness. We love staying up to date with trends. With so many new products launching, it can be easy to fall into the promises each tells. It's important to remember what works best with your skin type, and not stray into territory that will set you back. Remember your goals and what type of products will help you get there. There's no looking back, you have to push forward! It's time for a cocktail! Don't be afraid to mix and match and layer on the benefits. Whether that's doubling up on the Hydrating Floral Essence and Concentrated Brightening Essence, or dividing and conquering with the Rejuvenating Serum and the Resurfacing Serum, pairing up products can cover multiple concerns at once. Another dynamic duo is adding our face oils into a moisturizer to get the most nutrient dense moisturizing treatment possible. We’d suggest the Retinoic Nutrient Face Oil paired with the Repairative Moisturizer, especially in the colder months or after a day spent out in the sun. 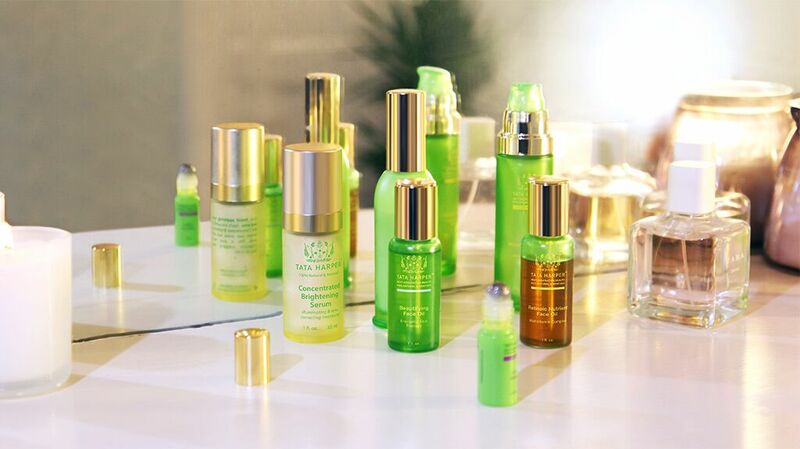 Just like your beauty, skin's nutrition comes from within. What we consume in our diet makes a big difference in how our skin behaves. "I like to eat small meals and snacks throughout the day," Tata tells us. "I generally avoid red meat and processed foods. Instead, I focus on whole grains, lots of seafood, and plenty of fruits and vegetables. I like foods that boost blood flow, and therefore oxygen, throughout the body, like avocado, blueberries, and chia seeds. Essential fatty acids are really important, and a lot of omega 3-rich foods help with circulation, like flaxseed oil, chlorella, sesame, and cauliflower." Tata's philosophy on food is all about providing the body with what it needs to succeed. "I avoid foods that slow circulation like caffeine, animal fats, gluten, and dairy," she says. "I’ve learned a lot about foods that are good for your skin, and for your liver, which is a really important beauty organ. Walnuts are a favorite snack of mine and are high in glutathione, an antioxidant. Oats, melons, peaches, spinach, and mushrooms are also good for your liver, as is avoiding too much animal protein. I don’t watch calories, and I don’t weigh myself. 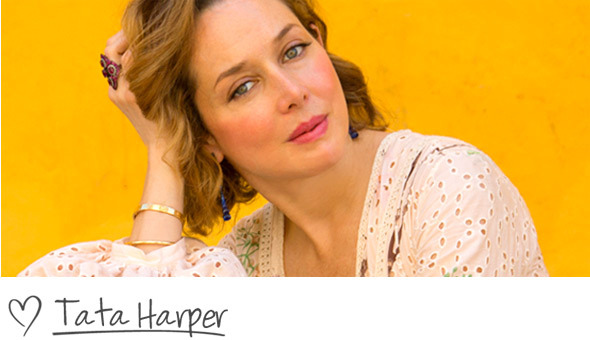 Overall, for me, it’s about feeling fulfilled and finding individual balance." The last, and most important step of your routine is protection. Protecting your skin from damaging UV rays is an absolute must, not only on weekend trips during the summer, but everyday. Tata has been formulating her own all natural skincare for more than 5 years. Our brand won’t put anything out unless it’s completely non-toxic. Until the launch, Tata recommends Suntegrity Sunscreen for a full coverage protection without any of the harmful ingredients.